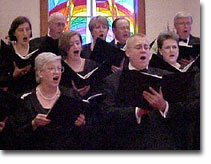 The Árpád Darázs Singers was formed in 1987 in memory of Dr. Árpád A. Darázs. A Hungarian immigrant, Dr. Darázs was a member of the University of South Carolina faculty and the founder of the USC Concert Choir (1966) and its director until his death in 1986. As a tribute, several University music alumni formed The Árpád Darázs Singers to honor Dr. Darázs and to continue the musical excellence he had established. 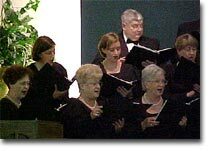 The Árpád Darázs Singers is a unique choral ensemble in the Midlands - a group of talented musicians who create a superior blend of mixed voices performing a varied repertoire of classical and contemporary works: sacred, secular, accompanied, and a capella. Concerts often include music by Hungarian composers to honor Dr. Darázs' homeland. 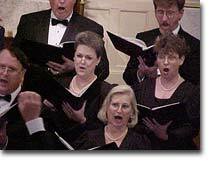 The Árpád Darázs Singers proudly presents formal concerts each year in May and December and performs at civic and community celebrations throughout South Carolina. The programs, planned with audience enjoyment in mind, consist of familiar music, as well as music which may not often be heard anywhere else. 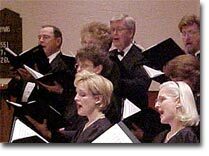 The choir represents every walk of life: students, business professionals, homemakers, and retirees. Although coming from various backgrounds, the members share a common love of music and the desire to share it with audiences. Membership is open, by audition, to all who enjoy singing in a small, intimate, mixed choral group and who strive for excellence.